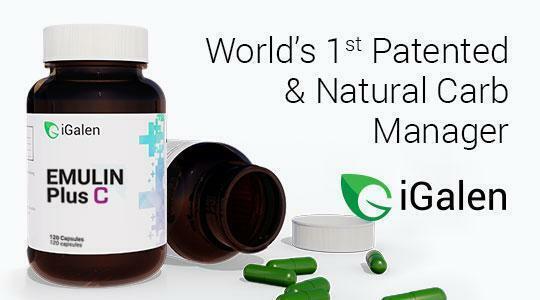 There has been talk of a newer MLM Company called iGalen. I decided to write a complete review of this multilevel marketing company to educate you. Just to let you know up front, neither I nor Online MLM Community is affiliated in any way with this company. This is a completely unbiased review to help you decide if you would like to use iGalen products or possibly pursue their business opportunity. I am going to give you a history of iGalen. I will tell you about the leadership behind the company. I will also tell you a bit about the iGalen products and the compensation plan. Last but not least, I will tell you some of the pros and cons of iGalen. By the time you are finished reading this complete review, you will be able to make an informed decision if it is right for you. Let’s get started. It all started with a Dr. and his invention. That invention is known as Emulin and it seems to be taking the world by surprise as to its benefits for health and well being. But not really knowing how to get the word out to the general public about this invention, meetings were held and agreements were made. And around 2011, iGalen became a reality. Using the network marketing business model, these leaders, along with several partners, have been building a huge following by using sound business practices and best of all, great products. Who Are The iGalen Leaders And Partners? The primary headquarters for iGalen is in Selangor, Malaysia. But the company also has a headquarters in Quezon City, Philippines and one in San Diego, California. The Dr. I mentioned earlier who discovered Emulin is Dr. Joseph Ahrens. He is a Scientific Adviser for the company and he was nominated for the Nobel Peace Prize in both 2015 and 2016. Dr. Ahrens also founded ATM Metabolics. Another Scientific Adviser is Dr. Stefano Scoglio who has been nominated for the Nobel Peace Prize in 2017. And lastly, Kosta Gara is the Chief Corporate Adviser. Kosta is an award winning author and a superstar in network marketing. Holista Colltech – This Australian company is focused on sheep collagen research and both co-founders are leaders. ATM Metabolics – This is the company founded by Dr. Ahrens and is where Emulin was discovered. Palmabiotech – This Spanish company is a world leader with liposome encapsulation. Verdure Sciences – This company develops and strengthens advancements in natural health care. Gara Group – Founded by Kosta, this company helps other companies in network marketing. Global Research & Discovery Group LLC – A non-bureaucratic research and think tank to solve problems. DevPros – From web design to video production, this company has it mastered. RiseLab – An all around company to help network marketing companies to design the right system to fit their needs. Global Payment Gateway – This excellent payroll system was designed by experts in financial security. While many network marketing companies throw out a slew of products when they start. The iGalen team saw it differently. They started with the invention of Dr. Ahrens, Emulin as their flagship product. Emulin is essentially a carbohydrate manager. Carbohydrates are what make us fat and also can cause other health issues. The reason is they are hard to digest. Emulin strips the good stuff off the carbs allowing your body to use each one. Plus, Emulin is patented and has been the focus of many health media outlets. Klamax is the other product offered by iGalen. The invention of Dr. Scoglio, this product is designed using both stem cells and proprietary ingredients pulled from the deeps of Klamath Lake in Oregon to produce amazing anti-oxidant and anti-inflamatory actions for humans. To live in a world of minimized and managed inflammation, leading to improved health and prolonged useful life. The compensation plan is a binary plan. You have two legs and you get paid on the weakest leg. Many iGalen distributors enjoy this comp plan. There are many pros with the iGalen business… You can make great commissions. The flagship product is patented and recognized as wonderful and the leadership behind the company is fabulous. The only cons I see are the high prices and the fact that at this time you only have two products to choose from. If your passion is to help people live healthier lives, iGalen might just be the right business for you. I find very few negative reviews of this company or product line. With the leadership team they have in place, iGalen is bound to succeed. Do you have any thoughts or questions? If so, please post them below. If you would like to try the products or start an iGalen business, the link is in the reference section. Disclaimer: We are not affiliated with iGalen. This information is for educational purposes and we are not compensated in any way from iGalen or any of its representatives.